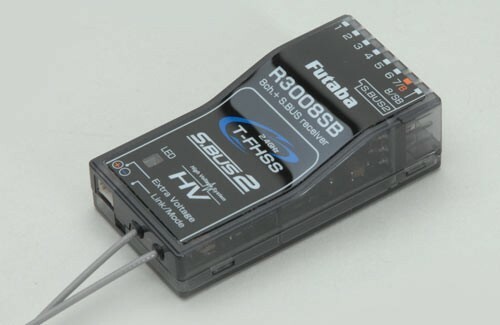 The Futaba R3008SB receiver is a full range receiver which has been designed to be used with the Futaba T10J 10-Channel 2.4 GHz Computer Radio System, it has 8 conventional outputs, or a full 10 through the S-Bus or S-Bus 2 outputs, mixing is also possible by using 7 or 8 conventional servos and 2 or 3 S-Bus or S-Bus2 servos, you can even use additional conventional servos via an SBD decoder lead. 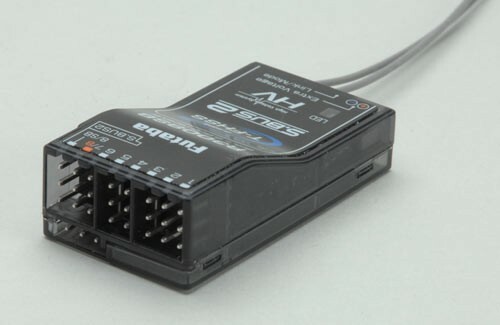 The extremely compact dimensions of only 47.3 x 24.8 x 14.6mm and end connectors make this the perfect receiver for almost all applications, ranging from small 250 mini racing FPV systems, power models through helicopters, multi rotors and gliders. The R3008SB is a HV receiver and has a operating voltage range from 3.5 - 8.4 volts.